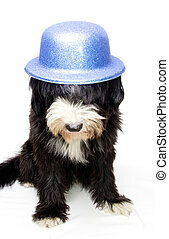 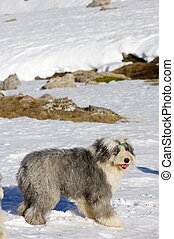 Bobtail. 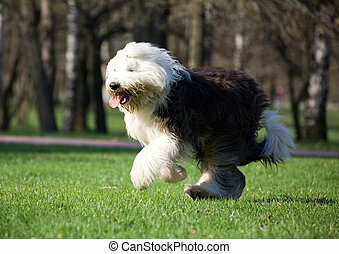 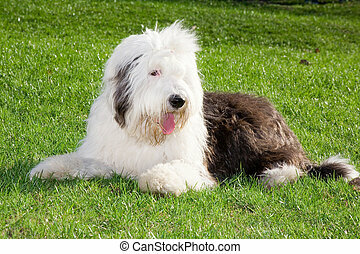 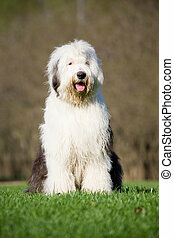 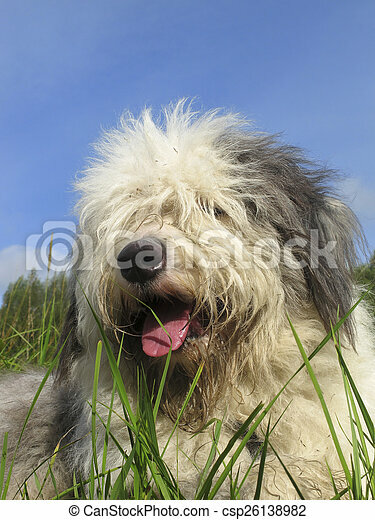 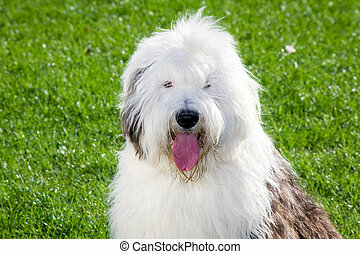 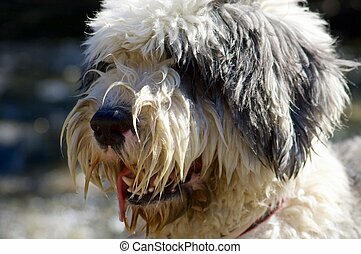 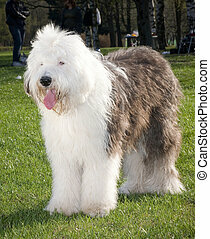 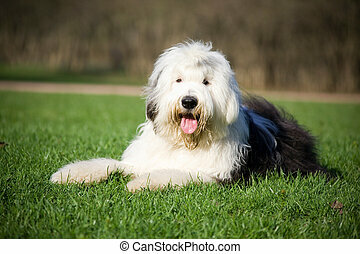 Old english sheepdog resting in green grass. 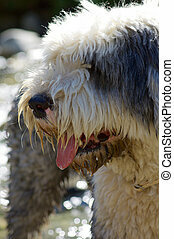 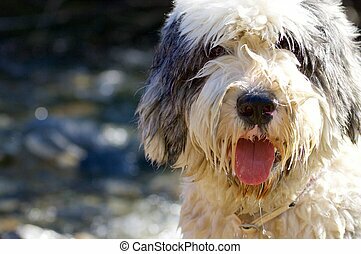 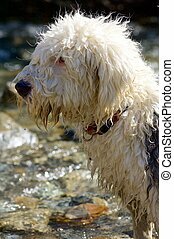 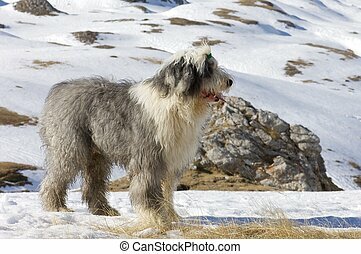 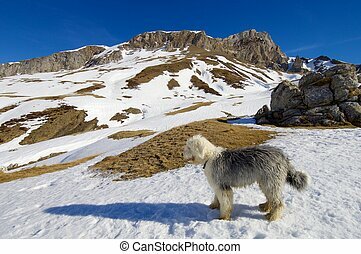 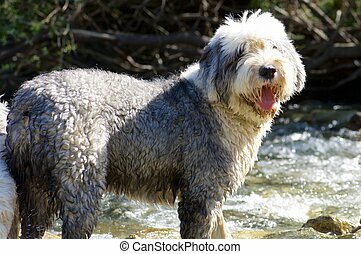 Closeup of a bobtail breed dog, Huesca, Aragon, Pyrenees.